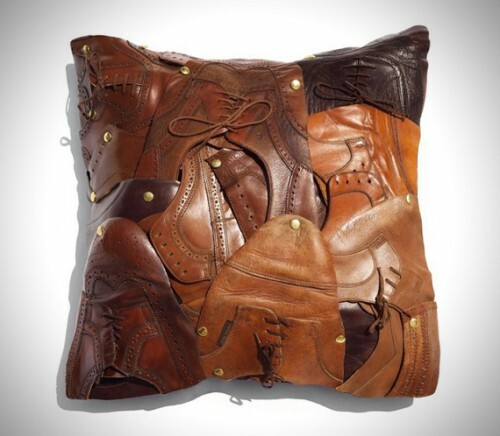 Haven't You Always Wanted A $1,200 Throw Pillow Made From Old Shoes? | OhGizmo! 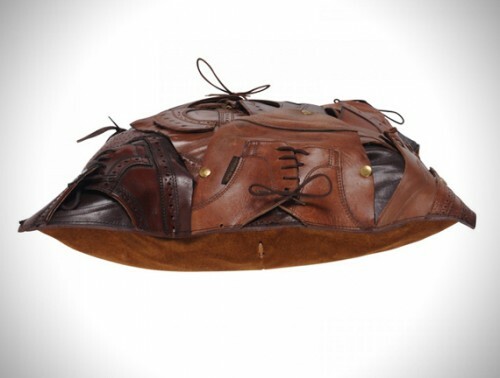 Pillow in leather patchwork of used men’s shoes sewn by hand with suede backing, finished with a hot wax buff, removable feather interior, clean shoes with colorless polish.? This piece is unique and signed by the artist. Wrapped with a vintage silk scarf. We suppose that one man’s questionable overpriced purchase can be another man’s invaluable one-upping piece of hipster kitsch, so we make no judgement. P.S. We lied. We’re judging.